As a young man, David played the harp (lyre, Hebrew kinnor) for King Saul. Later, David is called the “sweet psalmist of Israel.” We have many examples in the collections of Psalms. 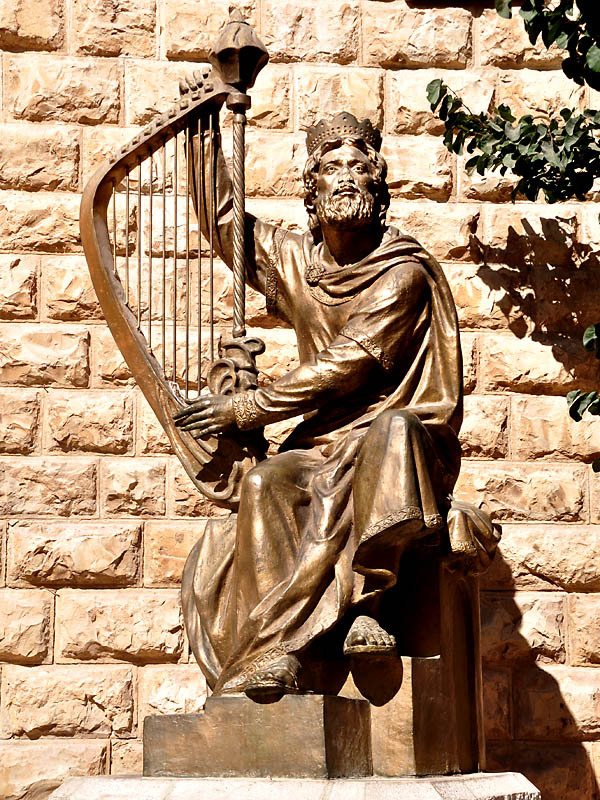 On traditional Mount Zion, near the traditional Tomb of David there is a statue of King David playing the harp (lyre). Statue of King David on Mount Zion, Jerusalem. Photo by Ferrell Jenkins. Our time in the Bible World has come to an end once more. It has been a profitable trip. I still learn something each time I come to this part of the world. Looking forward to next year in Jerusalem. Our numbers have been extremely good during the past three weeks. I hope that you will continue to check the blog from time to time. Why not subscribe and receive a notification each time we post something new? This entry was posted in Bible Lands, Bible Places, Bible Study, Israel, Old Testament, Photography, Travel and tagged Jerusalem. Bookmark the permalink.